Toro Road Runners is a licensed, insured and bonded towing company that provides an extensive range of towing services to Bay Area drivers and to local companies. 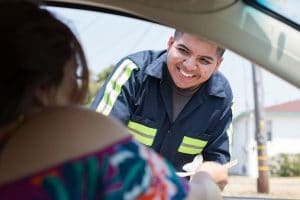 The towing company prides itself on its professional team of operators and their total availability when it comes to assisting San Jose, San Francisco and Oakland drivers in need of any type of towing services or roadside assistance, including towing of heavy equipment. Our goal is to make sure that our customers are always 100% satisfied with our service and in order to make that happen we provide excellent service 24/7, 365 days of the year. Our operators are always available to assist local drivers, whether they have been involved in an accident or have broken down and are in need of emergency towing services. The Toro Road Runners team provides a fast response time to every emergency service call. And, our services are reasonably priced. Among Toro Road Runner’s variety of towing services is heavy equipment towing. Many local San Jose, San Francisco and Oakland companies depend on us to efficiently transfer their heavy equipment from one work site to another. We tow all types of machinery and heavy equipment, including: excavators, loaders, motor graders, trenchers, bulldozers, backhoes, dump trucks, cement trucks, garbage trucks and all types of tractors. Toto Road Runners works with a fleet of tow trucks including trucks that can transport your heavy equipment to where you need it to be. We work with a tow truck operators who have been highly trained and have plenty of experience in the field with all types of towing, including transfer of different types of heavy equipment, from vehicles to construction equipment. Our experienced tow truck operators will deliver your equipment in perfect condition according to the schedule that suits you. Our towing experts will discuss your towing requirements with you, including your schedule for the tow and delivery, destination and type of equipment. You can rest assured that our expert operators will take the utmost care with your property and that it will reach its destination on time. We can also help you if your equipment breaks down on site and you need to have it towed for repairs. We understand that you need your equipment in order to get your work done, therefore we’ll do our best to transport it for you as quickly as we can. Our teams work 24 hours a day so that we can be of assistance if anything of this nature this occurs. If you’d like to learn more about our services or discuss your heavy equipment towing needs, please give us a call. Don’t forget to ask for a competitive price quote for our services.